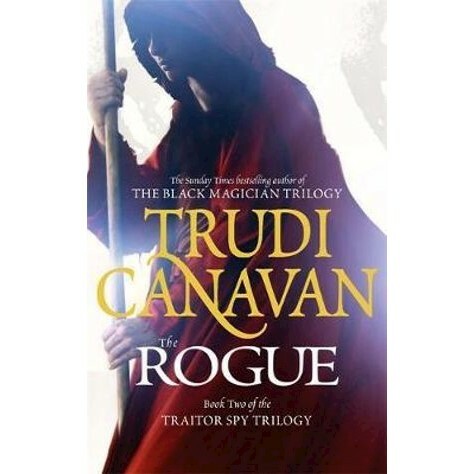 The next compelling instalment in Trudi Canavan's latest epic series, the bestselling Traitor Spy trilogy. Living among the Sachakan rebels, Lorkin does his best to learn about them and their unique magic. But the Traitors are reluctant to trade their knowledge for the Healing they so desperately want and while he assumes they fear revealing their existence to the world, there are hints they have bigger plans. Sonea searches for the rogue, knowing that Cery cannot avoid assassination forever, but the rogue's influence over the city's underworld is far greater than she feared. His only weakness is the loss of his mother, now locked away in the Lookout. In Sachaka, Dannyl has lost the respect of the Sachakan elite for letting Lorkin join the Traitors. The Ashaki's attention has shifted, instead, to the new Elyne Ambassador, a man Dannyl knows all too well. And in the University, two female novices are about to remind the Guild that sometimes their greatest enemy is found within. Trudi Canavan lives in the Melbourne suburb of Ferntree Gully. As well as writing fantasy, she works as a freelance designer and illustrator and is Art Director for an Australian SFF magazine.